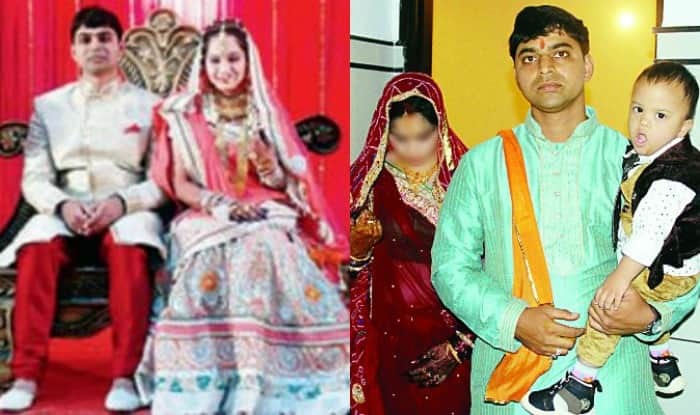 Aditya Tiwari's Marriage is bringing a dawn of hope in the society! 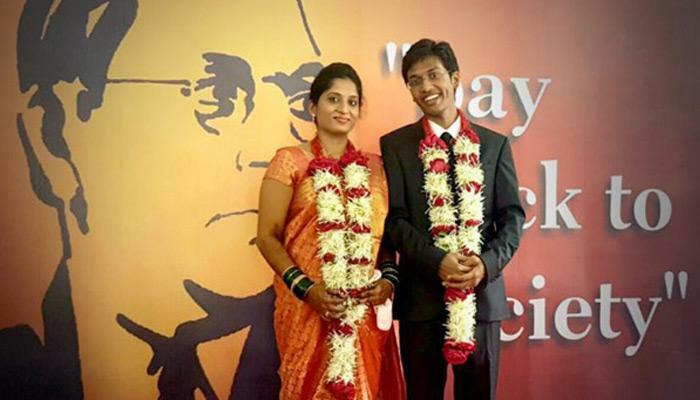 Social Spotlight Aditya Tiwari’s Marriage is bringing a dawn of hope in the society! Aditya Tiwari’s Marriage is bringing a dawn of hope in the society! Switch on your television and despondent news readers in the melange of news channels just spit horror and melancholy. We sit vexed and perplexed and are forced to search for some positivity amidst blackness of crime, corruption and selfishness. Well, let us tell you that world is still not devoid of good people! One such person is Aditya Tiwari and his story so far! Few days ago we shared a similar story in which the protagonists broke the monotony of social obligations. They tore open the veneer of hollow rules and regulations to bring forth humanity. Interestingly both these stories share a common thread and that is Philanthropy Marriage. Blending the age old custom of bringing two souls together with a flavour of selfless devotion towards the society. Marriages of Aditya Tiwari and Abhay Deware give us a big fillip to dying humanity and morbid moral values. Both have left their footprints to follow. Abhay donated the entire amount to be spent on his marriage to the farmers, victims of nature and corruption. Aditya Tiwari fighting against all odds adopted Binny a child suffering with Down’s syndrome. Aditya fought pitched battle in the court of law as his age at that time did not allow him to adopt. He kept his battle waging and finally succeeded! He became the youngest single parent to adopt. He also amended the archaic law paving way for others to follow his suit. Aditya again came in news when he proposed Arpita, his friend for 15 years, for marriage! Raising eyebrows that will his partner be able to shower the child with same love and affection. Shattering the glass of a jaundiced mind-set of society, Arpita proved to be a doting mother. 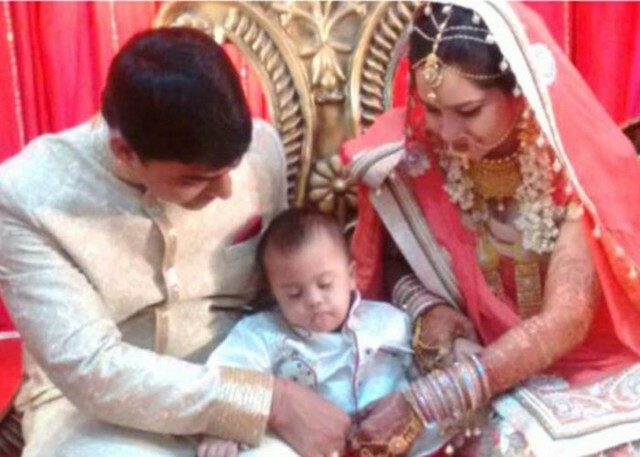 Arpita showers the child with same love and affection as Aditya. Aditya and Arpita decided to break the shackles of meaningless traditions and rituals involving reckless prodigal use of money. They did not waste money on the dhinchak DJ or lavish marriage ceremonies. Instead they decided to invite the uninvited. As a result, an extensive guest list was prepared comprising 10,000 homeless people including children from orphanage. The magnanimity did not stop with Homo-sapiens. It was extended to animals too with scores of stray dogs and animals being fed. Icing on the cake was planting of 100 saplings making sure that Mother Nature should not feel ignored. There are ample of examples around us to get motivated and work for our society. We need to work hand in hand for the betterment of our country. More young people like them are required and such stories should find their way in every household to be an example for others. Classroom should reverberate with stories of such heroic accounts to etch an everlasting impression on the gullible and naive minds of future generations.